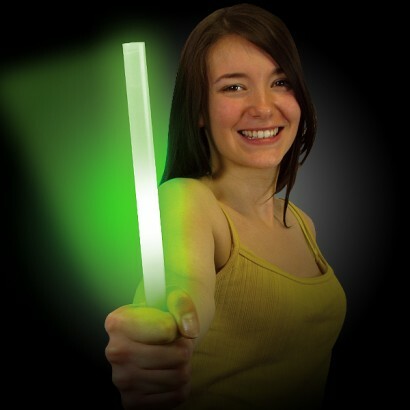 Use the large glowsticks when you need a big glow effect. 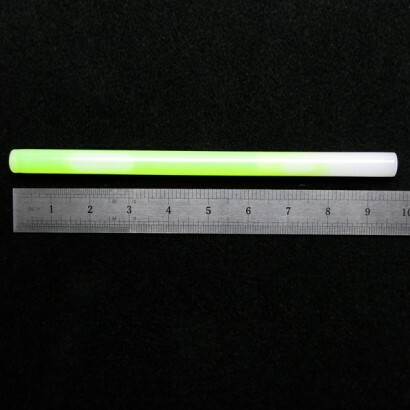 These 'Concert' or just plain big glowsticks are an extra 4" larger than the standard 6". 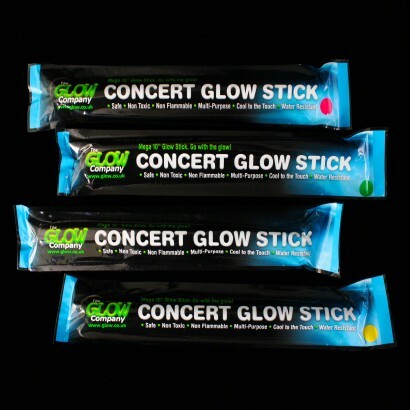 They are especially good if you want something really eye catching to hold or wave at night such as a concert or event. You may be in need of lightsticks for practical applications such as traffic/people directing or as really good floor markers. Or you may just need a bit more glow.